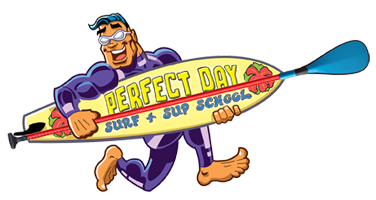 Established in 1998 by Tom & Simone Hickey, Perfect Day led the way in making the sport of surfing accessible to the general public. Fourteen years on Perfect Day is now in the capable hands of their daughter Elisha – a marine scientist and former U18 Irish surf champion. Having discovered the benefits of SUP – Perfect Day now offer a new experience to all water enthusiasts. 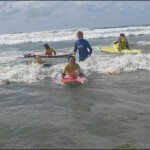 Stand Up Paddle Boarding is easier to master than surfing and therefore this sport is popular with the young and old alike. 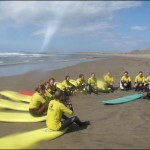 Sligo is an ideal setting to set up a SUP school. There are a variety of bodies of water, the scenery around Sligo is iconic and it is not weather dependent (you don’t need waves). Perfect Day now offer this new service on flat water in small groups, which is in line with their philosophy of giving individual attention. So why not come and give this exciting new sport a try. You,ll Love it..